This document contains proprietary and copyrighted materials of Land Alliance, Inc. The Gallup World Poll is a proprietary survey instrument owned by Gallup, Inc. All rights reserved. The material in this publication is copyrighted. Copying and/or transmitting portions of all of this work without permission may be a violation of applicable law. 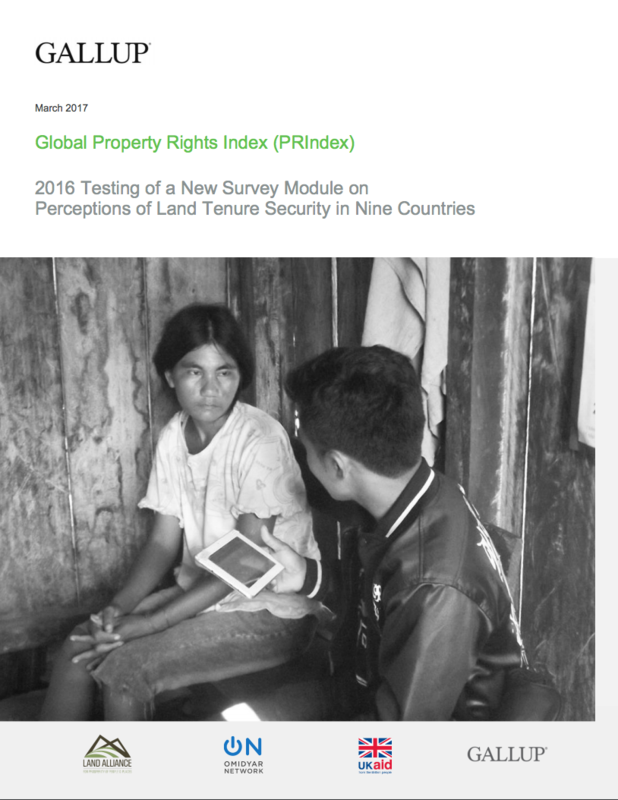 Land Alliance and Gallup encourage dissemination of their work and will normally grant permissions to reproduce portions or all of the work promptly. No changes may be made to this document without the express written permission of Land Alliance, Inc., and Gallup, Inc. This report presents results from nationally representative surveys with 1,000 residents aged 15 and older in eight countries — Brazil, Colombia, Egypt, Greece, Indonesia, Nigeria, Peru and Tanzania — and with 3,000 residents in India. Each survey attained comprehensive coverage of both urban and rural areas of the country using multi-stage stratified cluster sampling.1 Standardized interviewer and supervisor training, as well as robust validation of data collection/data entry, help to ensure rigorous quality standards. Gender equity with regard to the transfer of homeownership in the cases of divorce or inheritance.